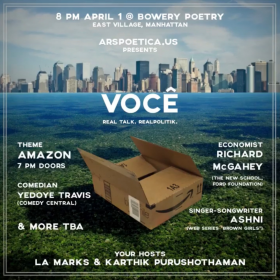 The International Kerouac Poetry & Performance Festival is coming to New York for the fourth year running this April 3-6. The Kerouac Festival, founded in Spain seven years ago, will bring together English-, Spanish-, and Galician-language poets for a weekend of border-crossing poetry. This year’s lineup includes soul singer Wöyza, Galician poet Alberto Avendaño, Mexican cultural activist Rocío Cerón, and Brooklyn Slam champion Anthony McPerson. 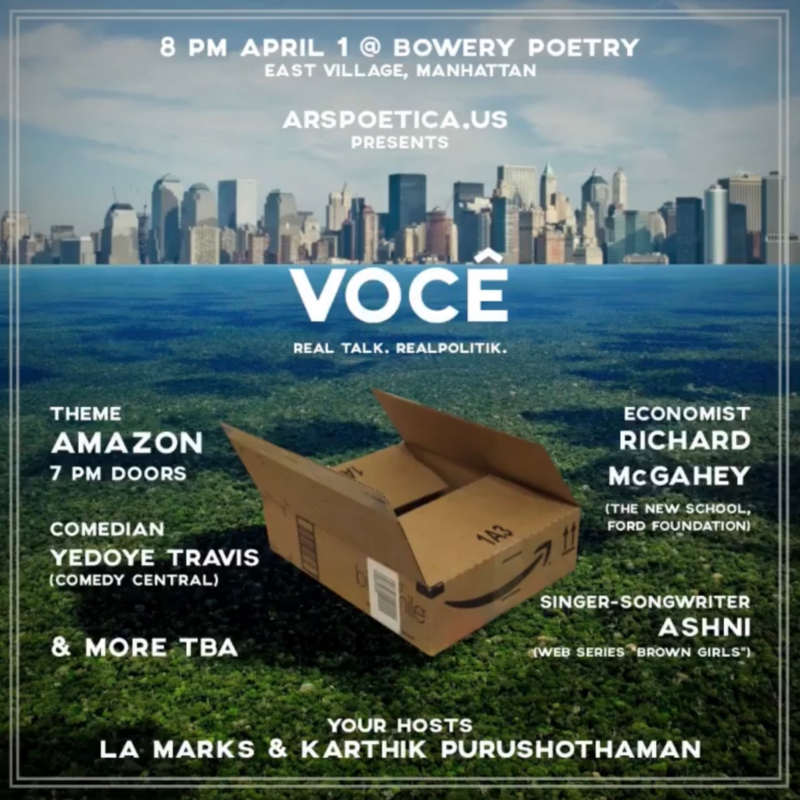 New York’s only poetry store (yes, you read that right) is bringing together Mexican and international poets previously published by diSONARE, a Mexico City-based editorial project, for a night of readings and performances. Stop by to hear Alice Attie explore her family’s Syrian heritage, Christopher Rey Pérez read from a project about Mexico City’s Tepito neighborhood, and Lucía Hinojosa recount the geographic memory of a natural pond. Join Nuyorican poets and NYU students for a weekend of Francophone literature at Le Festival des Cinq Continents (co-hosted by the Permanent Mission of the Organisation Internationale de la Francophonie to the United Nations and the NYU Center for French Civilization and Culture from April 5-7). On April 6, translators Janet Lee and Andrew Nsirim will compete at translating French-language poems by Arthur Brügger, Fabienne Kanor, Gabriel Marcoux-Chabot and Madeleine Monette. If you’re feeling brave (or bilingual), you’re welcome to join the translating fun.